In Myths of the World: Stolen Spring you are called upon to rescue the world from the icy curse imposed by the Goddess of Winter. 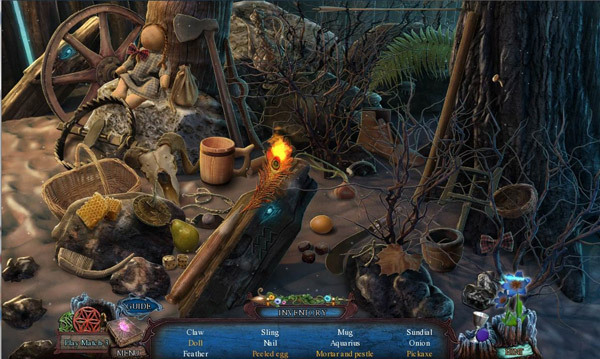 Can you realize your calling as the Child of Spring and return your land to its rightful glory in this exciting hidden object adventure game? 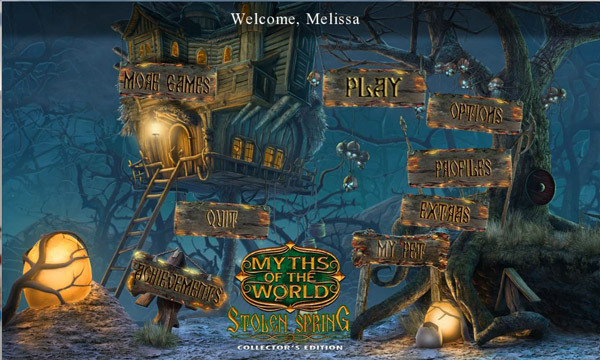 Myths of the World: Stolen Spring has everything you would expect from a Collector’s Edition game – crisp graphics and lifelike animation, fully customizable difficulty level, bonus content, and an interactive map. You even befriend an adorable ermine (who knew a weasel could be so cute?!?) who you can name and buy extras for. I’m a sucker for the cute little pets you can pick up and use, so I liked this little extra bit of fluff. He comes in handy too as he will often interact with inventory items to create a useful tool or help complete a task. The story follows a peasant who has been deemed the Child of Spring and chosen to save the world from the icy curse imposed by the Goddess of Winter (Morana – seriously, like Moron –ah). Goddess of Spring Vesna, has called upon you to defeat her evil nemesis and return Vesna from exile so she can restore spring. I turned the volume down but the music and background noises were pleasant enough, and I was happy to see the animations mimicked the voice-over dialog. The dialog itself was rather cheesy (“Be gone, winter! !”) but you can’t have everything. 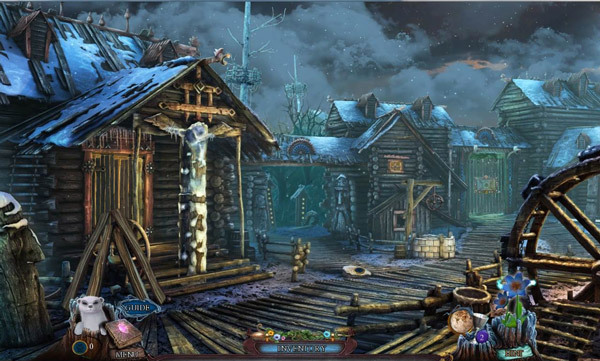 Myths of the World: Stolen Spring is a well-done game although it’s less than challenging. My only reason for not giving a 5-star rating was the level of difficulty – I breezed through all the HOS, mini-games, and I advanced quickly through the chapters. The fully customizable difficulty levels allow you to control everything, including how quickly hints and skips regenerate, but I never had to utilize either. If you’re looking for somewhat of a challenge aim for a higher setting, or you will be disappointed with how quickly the game flies by. The HOS throughout Myths of the World: Stolen Spring were enjoyable, though I did not find them particularly challenging. With my admitted love of Match 3 games, I was excited to see the option to complete an match 3 in place of an HOS. I’ve seen plenty of games that will swap an HOS for a mini-game but never a match 3, how fun! The mini-games were also fun, if not as challenging as I would like. 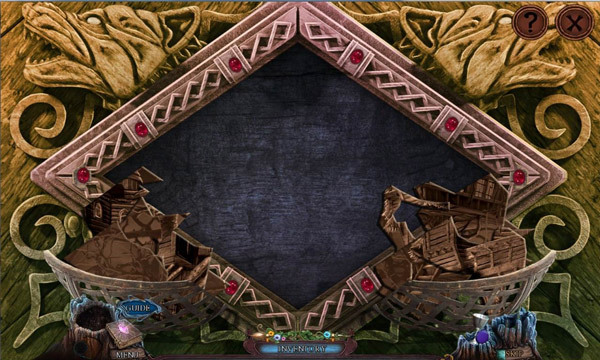 Simple puzzles, sorting and ordering – what I’ve come to expect from most HOS games. 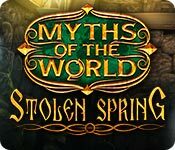 Myths of the World: Stolen Spring does a good job of making the games relevant to the storyline, so they blend well with the progress of the game. Overall, I enjoyed Myths of the World: Stolen Spring as a quick and easy game with some unique twists. And defeating a villain with a name like Morana should be a no-brainer!